Charlie Chaplin kept making silent films for as long as he possibly could. Modern Times, the last feature in which he played his wordless tramp character, was released in 1936, seven years after Hollywood had largely converted to sound; it was only with 1940’s The Great Dictator that Chaplin finally caved in and started talking. Even then, he remained well aware of his strengths as a performer, and did his best to fashion extended sequences that didn’t rely on dialogue, like Dictator’s famous bit in which Hitler (okay, “Adenoid Hynkel”) treats a globe as if it were a beach ball at a rock concert. So it’s no surprise that Limelight (1952), set in 1914, stars Chaplin as a washed-up vaudevillian and features lengthy flashbacks to the character’s silent act. It is a surprise, however, that these comedy routines are less effective and memorable than are the many scenes in which Chaplin just quietly converses with a young woman. The young woman in question is Terry (Claire Bloom), a ballerina suffering from what’s eventually determined to be a psychosomatic illness that prevents her from walking. 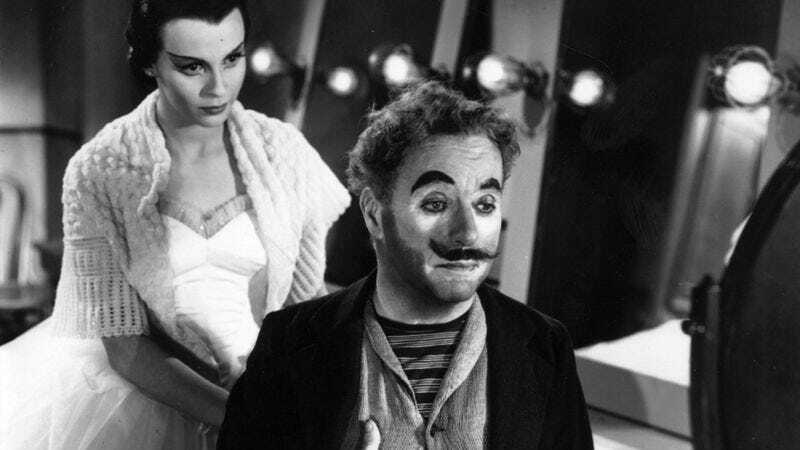 Despondent, she attempts suicide, but is saved when her upstairs neighbor, the once-famous clown Calvero (Chaplin), smells the gas emanating from her apartment and breaks down her door. Calvero immediately takes Terry under his wing, giving her regular pep talks about why life is very much worth living. She, in turn, eventually uses her influence to get Calvero hired as Harlequin in her new ballet (invented for the film). She also falls in love with him, though he refuses to consider marrying her and does his best to steer her toward a young composer (Sydney Chaplin, Charlie’s son). Eventually, Calvero abandons Terry altogether to ensure that she’ll make a life without him, though she tracks him down years later and persuades him to headline a benefit concert. Even for Chaplin, this is a saccharine wish-fulfillment fantasy: At age 63, he wins the enduring love of the ingénue—Bloom, in one of her earliest film roles, was only 21—nobly sacrifices his own happiness for hers (while pairing her with someone who shares half of his DNA), and redeems himself professionally with one final boffo performance. Thankfully, Calvero’s tender relationship with Terry, which is the heart of the movie, feels much more paternal than romantic, even as she keeps insisting that she loves him and only him. What’s more, Chaplin handles dialogue superbly, as if he’d devoted his lengthy career to Shakespeare and Ibsen rather than pantomime. Some of the speeches he’s written himself are a bit too floridly theatrical, but he sells them with a relaxed, casual delivery, demonstrating that he might well have been one of cinema’s towering figures even had he been born half a century later. Alas, Limelight fails to make a case for Calvero as one of vaudeville’s towering figures. His big routine, in which he pretends to be working with trained fleas, is painfully unfunny, and while the initial flashback suggests that this is by design—that Calvero, by that point, had lost his gift and thus his audience—subsequent events make it clear that Calvero is meant to be a genius, and that it was the fickle public that ended his career. Sadder still, Limelight’s climactic benefit concert features the sole onscreen collaboration between Chaplin and Buster Keaton, with the latter in the tiny role of Calvero’s former partner. It’s a total bust. Keaton, who was six years younger than Chaplin (so only 57 at the time), is given little to do apart from fumble endlessly with a sheaf of sheet music, and Chaplin-the-director rarely even puts himself and Keaton in the same shot. In short, everything that sounds potentially magnificent about Limelight disappoints, while the aspect that sounds potentially dreary—Chaplin playing earnest life coach to a sickly ballerina—works like a charm. The man was full of surprises. 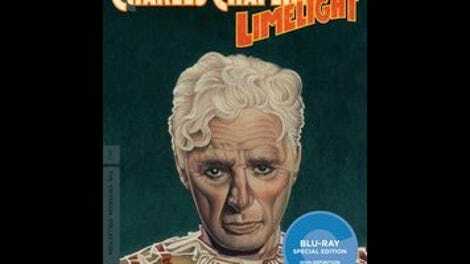 Limelight is available on DVD and Blu-ray from Criterion. It’s also currently streaming on Hulu Plus.